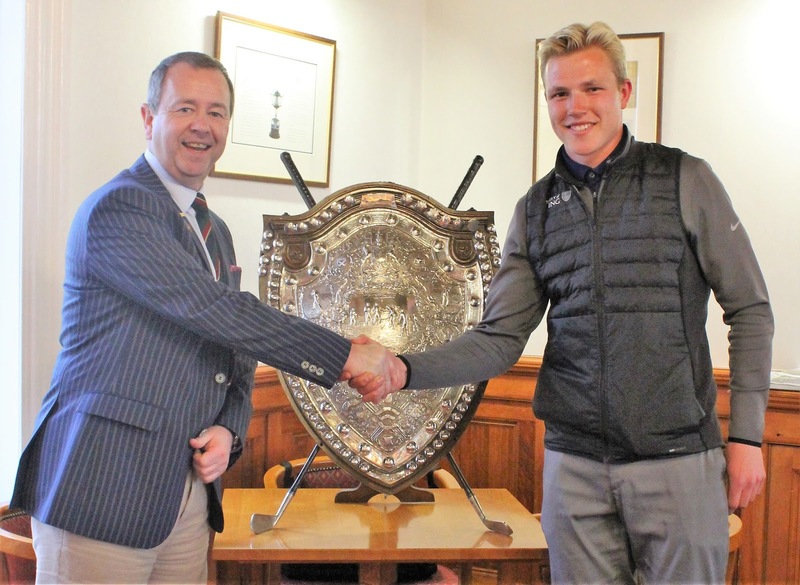 Balmore's James Wilson won the Edward Trophy 36-hole open tournament at Glasgow Gailes on Saturday by two strokes with scores of 72 and 70 for a two-under-par total of 142. Joint runners-up on level par 144 were Malcolm Pennycott (Royal Burgess) 71-73 and J Brooks (The Mere), who made the trip north from Cheshire, to return creditable scores of 71-73. 145 S Rennie (Drumpellier 70 75, A McDougall (Elderslie) 73 72. 146 D Dougan (Drumpellier) 72 74, G Brown (Cathkin Braes) 73 73. 147 G Cross (Cawder) 70 77. 148 N Clenaghan (Mount Ellen) 75 73, B McKenna (Cawder) 72 76, M Hislop (Glenbervie) 76 72, P Gault (Haggs Castle) 73 75, S Roger (Peebles) 71 77, A Brown (West Kilbride) 72 76. 149 C Conroy (Paisley) 75 74, S Manning (Pollok) 71 78, S Thomas (Erskine) 76 73, M Smyth (Royal Troon) 71 78. 150 G Beaton (Bonnyton) 75 75. 151 C Watson (East Renfrewshire) 76 75, M Tait (Glasgow) 74 77, K Hamilton (Ayr Belleisle) 73 78, G Yates (Caldwell Park) 73 78, S Hedger (West Kilbride) 74 77. 152 F Campbell (Monifieth) 73 79, J Shaw (Boat of Garten) 74 78, F Grant (Ralston) 78 74, M Daily (Erskine) 74 78. 153 D Logan (Bishopbriggs) 78 75. 154 M Clark (Kilmacolm) 78 76, J Laurie (Glasgow) 73 81, C Wedgeworth (Cawder) 81 73. L Jennings ((Whitemuir) 81 73. 155 R Muir (Kilmarnock Barassie) 76 79, P Dorrian (Greenock) 79 76, N MacRae (Glasgow) 79 76 , P Frith (Glenearn) 75 80.